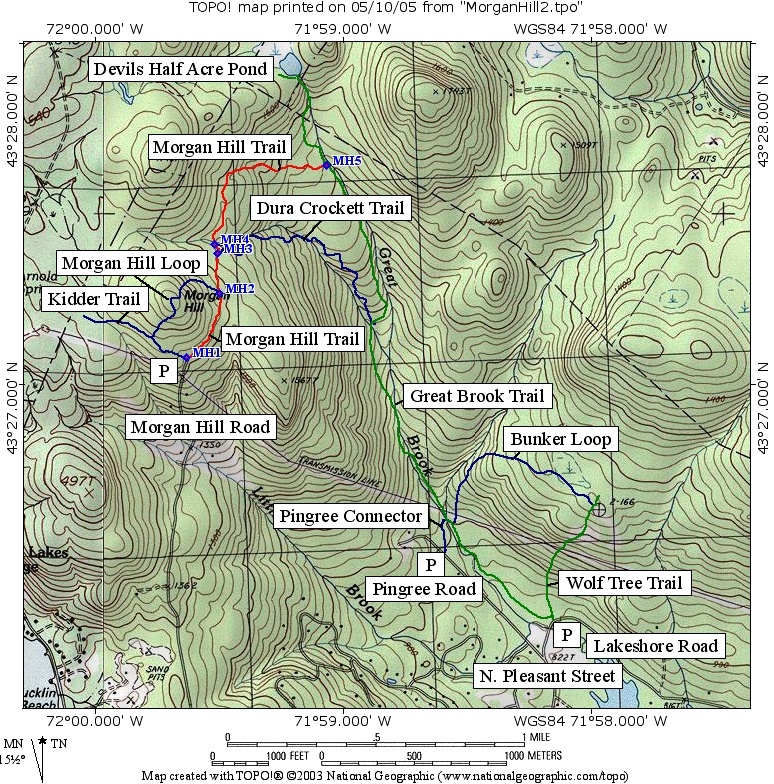 The Morgan Hill Trail (in red) descends from its start at the end of Morgan Hill Rd (point MH1) to the Great Brook Trail (SRKG in green, at point MH5) passing intersections with the Morgan Hill Loop Trail (MH2 in blue) and the Dura Crockett Trail (at MH3 and MH4, in blue). It descends 200 feet in 1.1 miles (one way). 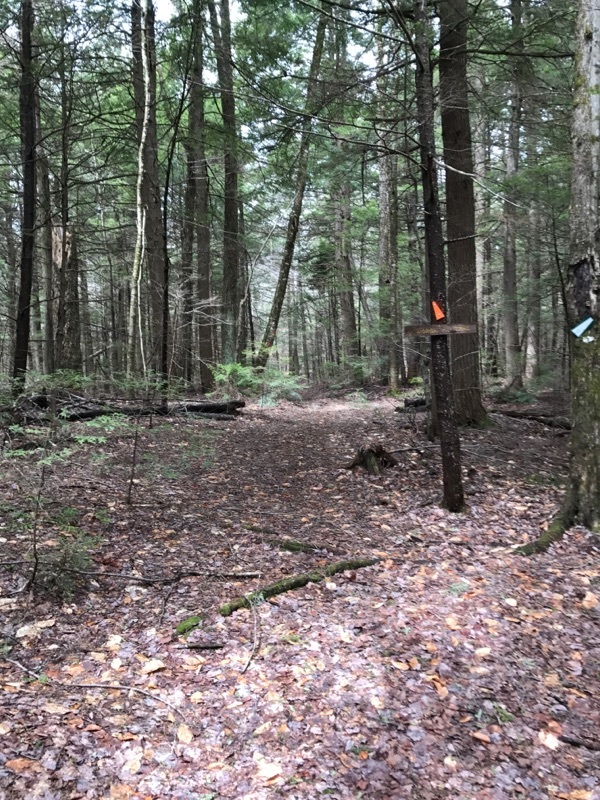 It may be combined with the Morgan Hill Loop Trail to make a short loop trip or with the Dura Crockett Trail and the Great Brook Trail to make a longer loop.